You Know what one of the things blank loves best, Telling people no and shutting them down when they think they've already won and then telling them they can go SCREW THEMSELVES!!!!!! You creatures who have fought with strength, violence, blood and death, who built a tower of corpses that rises to the sky and call yourselves wise, tell me this: What is the difference between you and the dumb beasts? Why is this happening to me!!? A temporary defeat is nothing if it leads to ultimate victory! 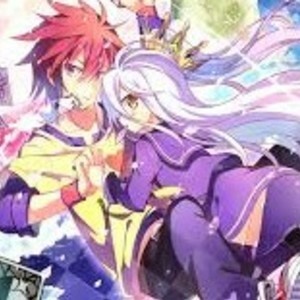 Sora, Shiro what the hell are you two doing!! I can't belive you two are our new Rulers!!!! Even if I die only a fraction of a second earlier, I still lose. YOU HAVE MADE ME VERY ANGRY!!!! !